I love the new indication for OSIs! Except most of the examples are effectively meaningless. Why would anybody want to change between two separate stations which both provide services to the same destination Paddington < > Baker Street. Or take you to the same place by tube itself. I too agree on some of the comments made regarding the cover. 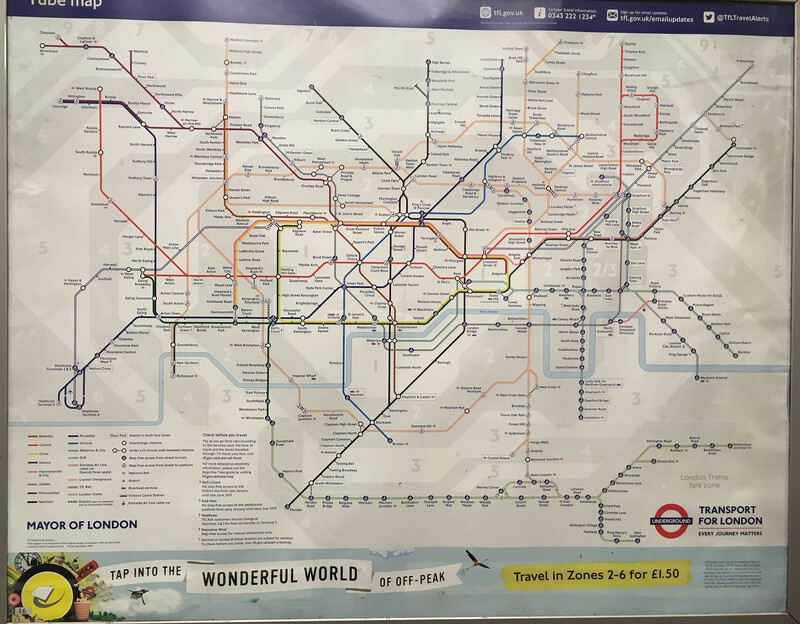 In most cases, the map cover has always been linked with the Underground theme and does this by replicating line colours, branding colours or corporate designs. The digital version that is still available as pdf has not been updated and it's interesting to see how the OSIs have been neatly distinguished between the non OSIs in contrast to before. I see that a lot of people have complained about missing OSIs or OSIs that they feel should be shown. I'm sure that the design team have taken into consideration the various OSIs we have at present and displayed the most relevant ones. South Tottenham - Seven Sisters, Camden Road- Camden Town and Euston - Euston Square are finally shown. I guess that is why Canary Wharf Jubilee is linked only to Canary Wharf DLR not Heron Quays DLR. Bayswater to Queensway offers no significant benefits over Notting Hill Gate unless your destination is Bayswater or Queensway. Similarly Brondesbury to Kilburn is an OSI but doesn't offer much over West Hampstead. This is the first time I have looked at a tube map in a while. Wow, there is a lot of overground now up in that top right corner. Also, how long have the trams been on the map? How long have the trams been on the map? Since June 2016 on the Pocket Tube Map and March 2008 (I think) for the Travel Card Zones/London's Rail and Tube services map. 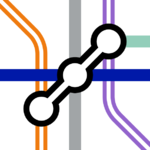 Looking at the Digital tube map archive, the Overground lines out of Liverpool Street were added to the map in May 2015, trams have been there since June 2016. 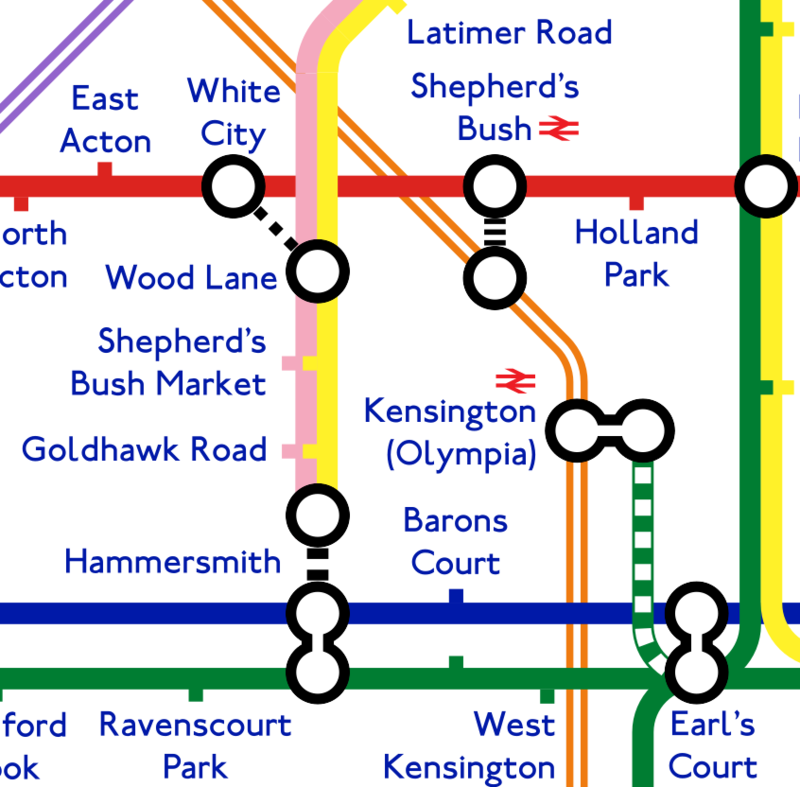 TfL finally took note of the OSI link style that we talked about in May, but the Finchley Road to Frognal connector is a bit of a stretch when West Hampstead is a lot closer to each other, with no accessibility disadvantage. Those dotted OSI links definitely look very familiar! Two different sizes, one 1/3 of the full connector width, one 2/3. I think I prefer the 1/3 size myself. Incidentally having only one "Hammersmith" label feels weirder now, since the two blobs feel much more like separate stations. Finchley Road to Frognal connector is a bit of a stretch when West Hampstead is a lot closer to each other, with no accessibility disadvantage. Possibly because Metropolitan line doesn't stop at West Hampstead. The map posted on ianvists is different to the map posted on this thread around the Baker St area. 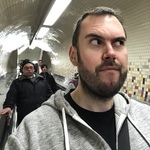 I wonder if the map Ianvisits shows is the digital version? This is not yet live on the TfL website (iirc it took nearly a week in May for this to happen) so I can't check. Diamond Geezer has noted the difference in the Baker Street / Finchley Road area (and others) is between the wall-poster and the pocket versions.